Create a platform for people to create and share their drink recipes. 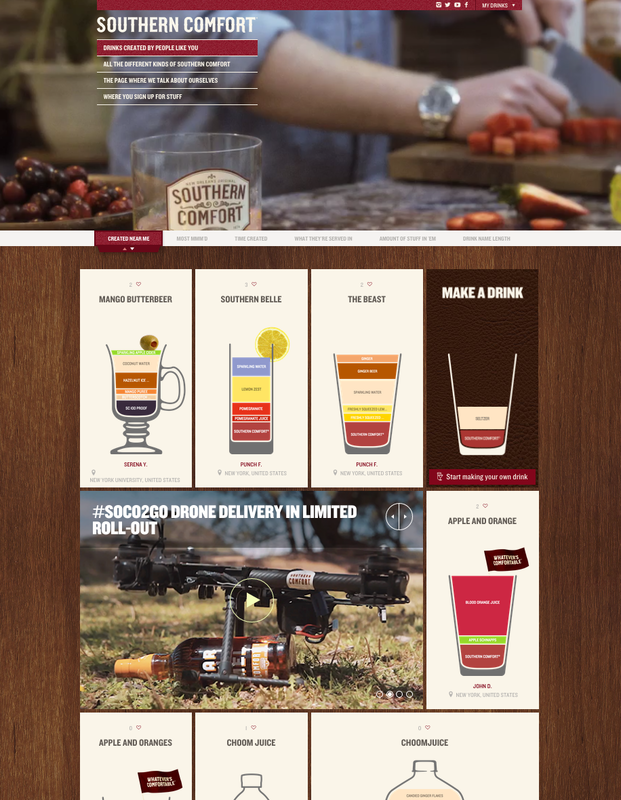 - Inspire people to think outside of the box when creating drinks with Southern Comfort. This project began with an 8-week discovery phase. I collaborated with the strategist to define the core users based on research and statistics for the brand's two main demographics. I put together a competitive audit, scripts and storyboards and then worked in conjunction with an illustrator to bring those to life in user journeys. Using findings from user testing, I was able to balance the user experience needs with the creative vision. I created the wireframes for this project and worked closely with Legwork on the site build and QA.